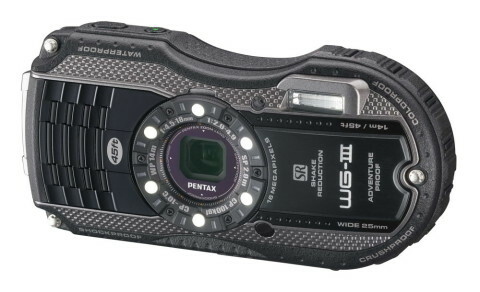 The Pentax WG-3 is a ruggedized point-and-shoot compact digital camera that was designed for use un extreme outdoor conditions. 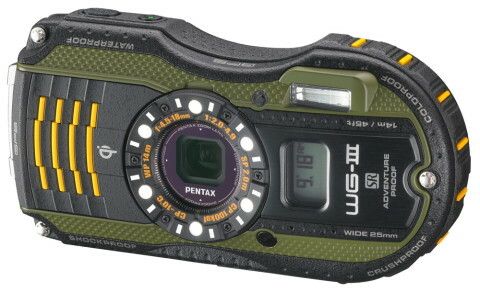 The Pentax WG-3 is waterproof to 46 feet, shockproof to 6.5 feet, coldproof to 14°F (-10°C), crushproof against up to 220 foot pounds of force and also it is dustproof. 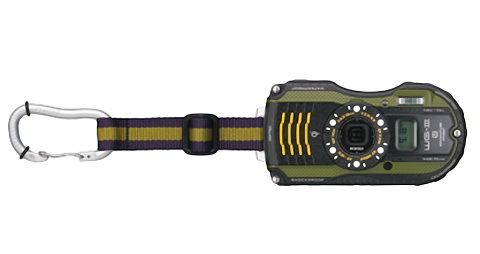 This rugged camera has a backlit CMOS image sensor with a resolution of 16 MP and a primary color filter. 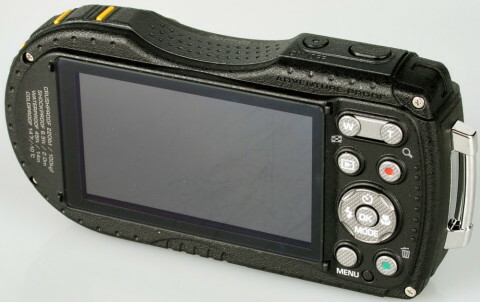 This sensor, together with the imaging processor, provide a sensitivity range of ISO 125 to 6400. The WG-3’s sensor sits behind a 4x optical zoom lens, that has a wide, fast f/2.0 maximum aperture and an effective focal lengths of 4.5 – 18 mm (equivalent to 25-100 mm in 35mm format). 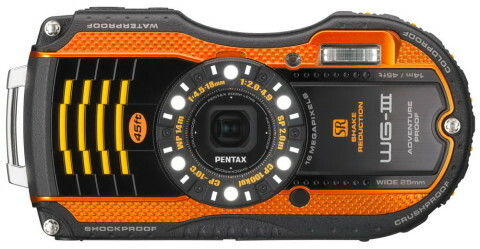 The Pentax WG-3 utilizes two form of image stabilization to compensate the effect of camera shake: sensor-shift and digital. 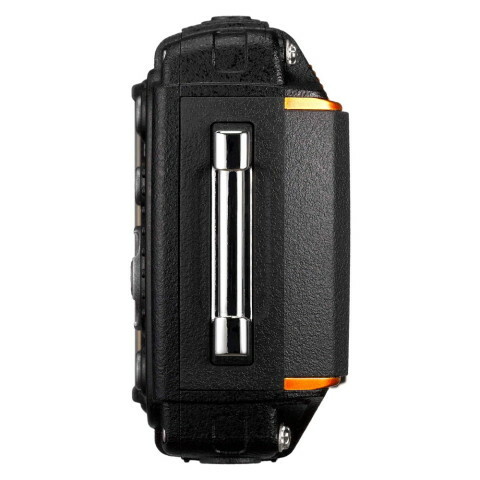 Also present on this camera is a 3″, 460k-pixel 16:9 widescreen TFT LCD monitor that has an anti-reflective coating and that offers a 170° horizontal and vertical viewing angle. Videos are recorded in Full HD 1080p at 30 fps with h.264 compression. The optical zoom is available during recording. Connectivity includes a NTSC/PAL composite video output port, an USB 2.0 High Speed and a Type-D Micro HDMI port. Files are stored on Secure Digital cards, including SDHC and SDXC types. 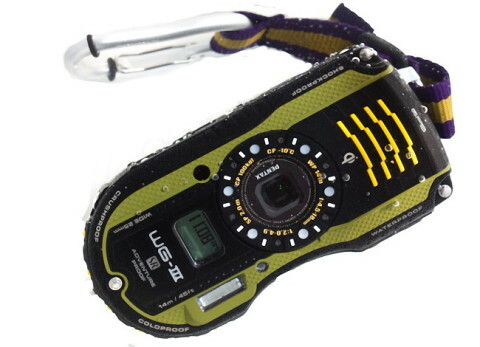 The Pentax WG-3 is available in black, orange, green or white and comes with a carabiner strap and a macro stand included in the box. 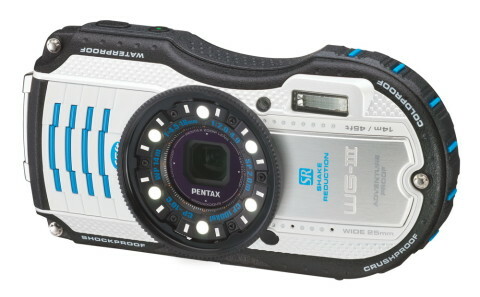 You can read about design, features and performances of this camera on Pentax WG-3 review from pcmag.com website. Other interesting things about WG-3 you can read on thephoblographer.com website, a place where you can see also a lot of sample images.